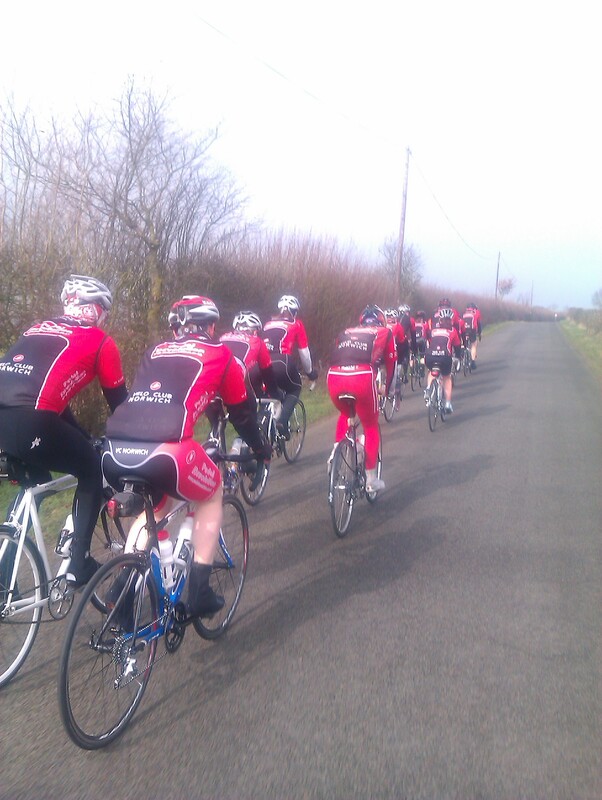 March 3rd and 4th saw the annual VCN Tour of Norfolk take to the roads. After what must have been one of the nicest weeks of the late winter the weather slowly deteriorated into the weekend wi th the forecast for Saturday predicting wind and rain; and more of both on the Sunday… So it was a somewhat apprehensive group that eventually set off from Fiveways pub for a meandering ride to the first lunch stop in Castle Acre. Rain did little to dampen spirits and a fire and good food at the Ostrich pub set the scene for the afternoon dash to Hunstanton. The evening out was somewhat different to planned as the restaurant we had booked had collapsed (physically, not financially) but the owner kindly ferried us to a fine alternative and this was almost certainly a contributory factor to the slow start on Sunday….that, and the rain… and the wind. So it was a thoroughly soaked group that arrived back on Sunday afternoon. This was the first year we have run two groups with people able to choose their pace and switch between them on the two days. A successful trial and one we will use again next year. Watch out for the full report in the Newsletter and keep a March weekend free for the cyclists vs weather rematch in 2013! This entry was posted in Uncategorized by vcnorwich. Bookmark the permalink.